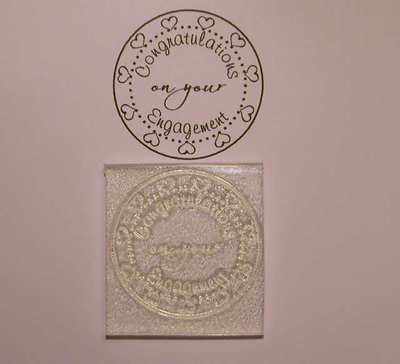 A Heart and dots frame circle stamp with 'Congratulations on your Engagement' text.. Stamped area is 3.5cm x 3.5cm. The heart circle frame stamp is available to personalise with your messgae in the centre, please see the custom/personalised stamps.